Tess Testeza was born in Eastern Europe. She started taking private music lessons at the age of 6. The teacher encouraged her parents to enroll their daughter into a music school, which she completed successfully. At 18, she was accepted into a 4-year music college and graduated with high honors and diploma of a music teacher. In the late nineties, she moved to the United States. She was hired as a church musician with St.Matthew’s after she played as a volunteer for Hispanic service. She played for both Hispanic and conventional services at St. Matthew’s for a number of years, before moving to Carmichael and becoming a member of St. George’s where she currently performs the duties of the music director. Tess plays accordion, piano, electronic keyboard, and organ. 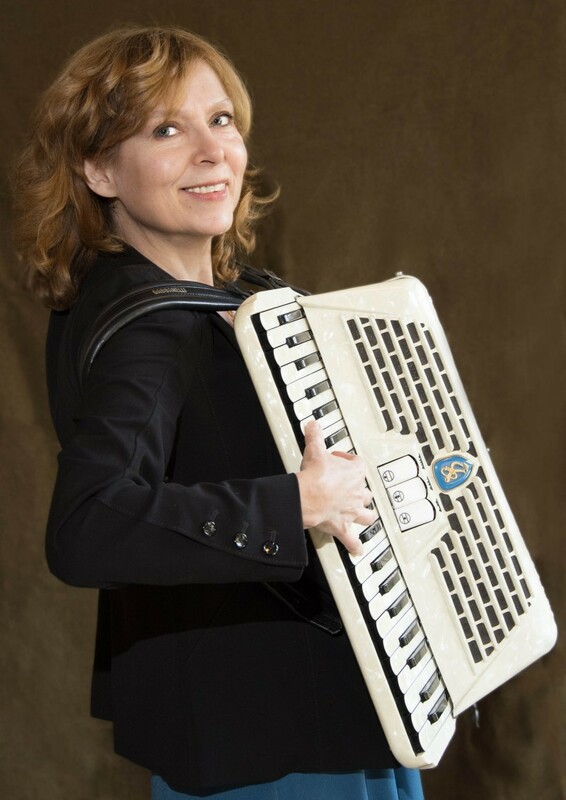 Accordion is her favorite instrument, as it is associated with traditional celebrations such as Oktoberfest and can be used anywhere, anytime, without the need to rely on electricity.